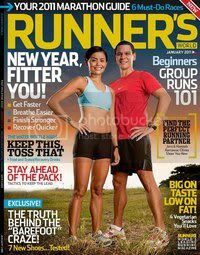 Runner’s World is bundled with your Women’s Health issue, and I’ve also got an article in it about six must-run races in Asia. It’s the marathon-ready issue so if you plan on doing a full marathon this year, pick up a copy! While I didn’t write anything for Men’s Health, I do have to mention that Richard Gomez is one of my favorite athletic celebrities, and Richard and Lucy are one of my favorite celebrity couples. The Men’s Health and Women’s Health magazines this month are tandem issues celebrating them as this year’s Power Couple. They were chosen because they’re both well-rounded individuals as well as a couple whose marriage is still going strong after 12 years. Both magazines are well worth the read for their insight into the lives of the Power Couple who both have their priorities straight and manage to keep work and life balanced. BGC: Still a Runner’s Haven?